Even if you’re a true-blue New Yorker or a born-and-bred Bostonian, there are some things that you can’t find on the East Coast — and we’re not just talking about warmer temperatures. 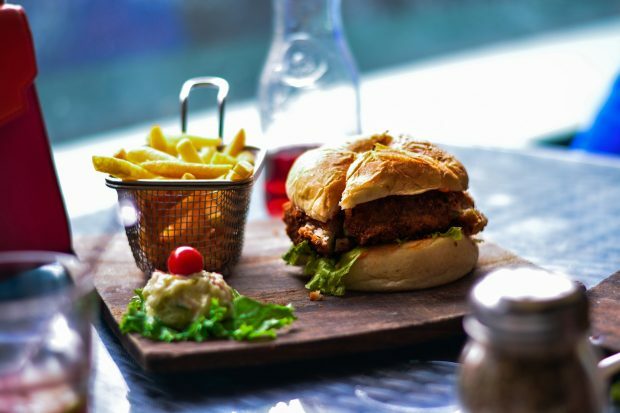 We’ve rounded up some of the tastiest places to grab a bite on the left coast for the next time you find yourself in the mood for a burger and fries. In-N-Out sign in San Francisco, CA. By Karsten Behrens – Own work, Public Domain. West Coast natives, especially Californians, swear by this essential burger spot. If you’re feeling adventurous, order a double-double “animal style” — that’s two beef patties drenched in special sauce — as the regulars do. Then, treat yourself with a chocolate, vanilla, or strawberry shake, because who’s counting calories when everything tastes this good? Similar to In-N-Out, Jack in the Box is a classic burger joint that also offers chicken sandwiches, salads, and tacos. In addition, they serve a wide variety of breakfast staples including egg sandwiches, burritos, pancakes, and hash browns. Their latest introduction to the menu? The Triple-Bacon Buttery Jack, made with bacon, bacon mayo, AND bacon butter. Not for the faint of heart. While this chain with a funny name has now expanded internationally, it got its start in Los Angeles way back in 1952, and also has locations in Las Vegas. Request your own made-to-order burger, choosing from all of the good old-fashioned toppings like lettuce, tomatoes, cheese, pickles, and diced onions, plus premium toppings that include egg, bacon, chili, grilled onions, onion rings, and more. Whoa. 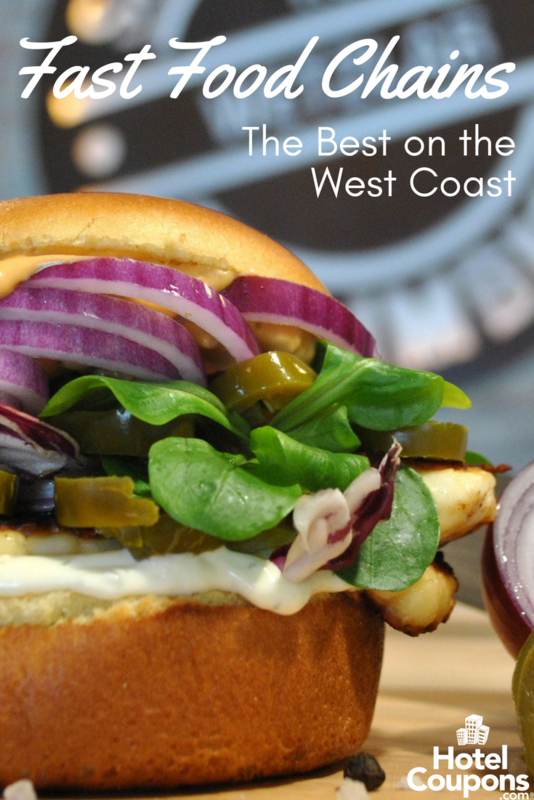 With locations only in Washington and Oregon, Burgerville is a small fast food chain that’s beloved by locals in the Pacific Northwest for not only its namesake cheeseburgers, but also for its chicken sandwiches, fish filets, and seasonal milkshakes. When ordering your burger, try it with the delicious and locally-sourced Tillamook cheddar cheese. Vegetarians are also in luck here, as Burgerville offers vegan Anasazi Bean Burgers as a substitute. The loyalty of Dutch Bros. customers is akin to that of Dunkin’ Donuts drinkers on the East Coast, with thirsty patrons enduring lengthy drive-thru lines to get their fix. Boasting all sorts of turbo-charged coffees, espresso, and blended drinks with motivational names like Kicker and Annihilator, there’s an energy-boosting beverage for everyone here. It’s all about “Thickburgers” at Carl’s Jr., who joins Jack in the Box and In-N-Out to complete the trifecta of essential West Coast burger purveyors. You can also attempt 20-piece chicken tenders, a charbroiled chicken sandwich, or an Oreo malt. If you’re looking for something a bit lighter, Carl’s has you covered with low-carb, vegetarian, and gluten-free options.